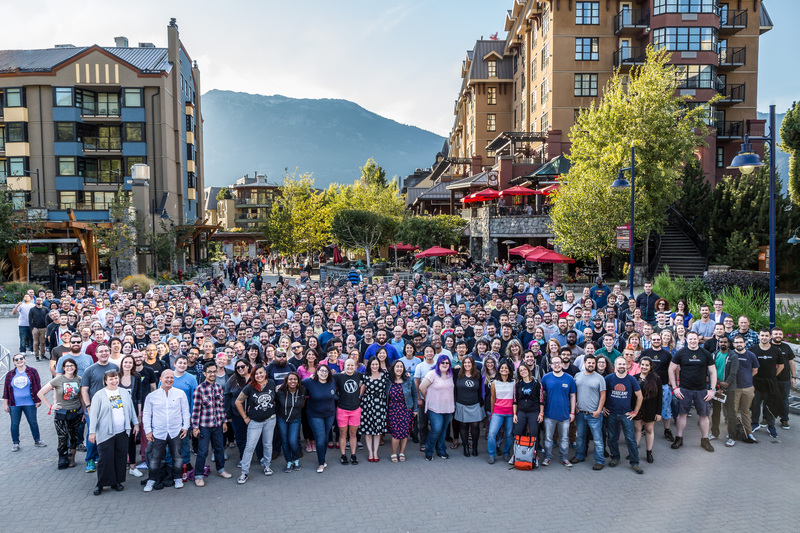 Each year (nearly) everyone at Automattic gets together for the Grand Meetup (GM). The GM is essentially a company retreat. We work, we train, we develop, we discuss, we play, we eat, we drink… it’s an amazing time of getting to know each other better and working and planning towards better products and better support for our customers. This year the GM was at Whistler, which was beautiful! And as nice as it is to be home, I’m already looking forward to going back next year. Working remotely is great, and maybe our company’s distributed nature is what makes the GM even more special: we like to work from home, but sometimes conversations and activities in person are really productive and excellent bonding time. I only had a chance to do a few of these, which is why I’m already keen for next year! I wasn’t planning on playing Dungeons and Dragons, but I ran into a team mate one evening who suggested I play. What fun! It was my first DnD, and we won. We inadvertently killed this sketchy dwarf who was planning to turn on us in the end, had he survived. Mwahaha. I managed to find an evening where I didn’t have meetings and could roam around the village for a bit of night photography. World’s longest unsupported span for a lift of this kind at 3.024km. World’s highest lift of its kind at 436m above the valley floor. It is very beautiful up there. At this time of year, you can see a bit of snow on the mountain tops, and below there are lush green trees, lines of autumn color (the deciduous trees tend to grow in lines along the sides of rivers and trails), rivers and sometimes you may be in the midst of the clouds. The Peak 2 Peak ticket also grants you access to wander the tops of the mountains and ride the other chair lifts. It was beautiful and darn nippy up there! The glacial water makes amazing coloured lakes! I also went on a photo tour where we saw forest, river, lake, waterfall, and a bear! On the last night of the GM we have a pretty amazing party. A bunch of musically-inclined Automatticians practice all week (and sometimes for months preceding) to bring us a pumping set, in which there is much dancing, and jaw-dropping at their skillz. Then there is more music, dancing, drinks, and photo booths! I’m going to be posting some more photos on my photoblog, and if you’re keen, here are some posts by other Automatticians.